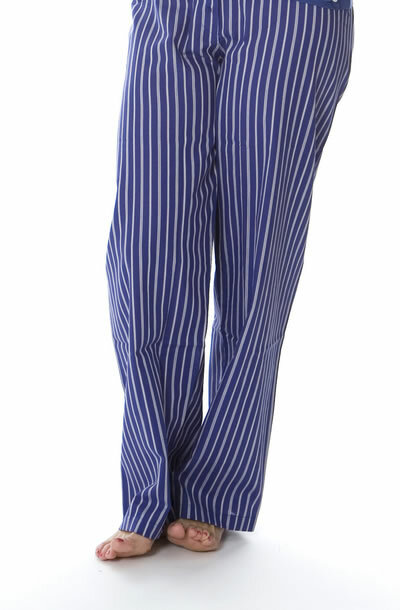 These lightweight trousers from the Princesse Tam Tam Noctambule range provide chic, classic, sleepwear style. The soft cotton fabric offers a level of understated luxury synonymous with all designs from the Parisian brand. Features include an elasticated waist with button detailing. Material: Cotton percale with petersham edging. Garment care: Machine washable. Do not tumble dry.